Have you always wanted to try Pilates but have limited mobility or are worried about getting down and up from the floor? 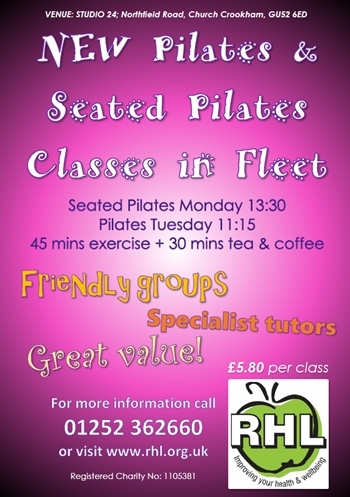 Then SEATED Pilates is for you - this fun & friendly class uses traditional & adapted Pilates exercises to strengthen & lengthen your muscles, improve your posture, balance, mobility, flexibility & mental well being; all with the use of a chair for help & support. Please click here to view our latest class timetable. Please call us on 01252 362660 if you have any queries or would like to book onto a class.